You are here: Home / Hats Man / How to clean panama hats? The panama hat is a traditional hat from Ecuador, despite the name. As we have already mentioned in another article, its name comes from the importance they had during the construction of the Panama Channel when thousands of these hats were imported to protect the workers from the sun. Nowadays they continue to be used as they never go out of style and provide elegance as well as protection to our head from the sun. Many people use it specially during summer. The Panama hat is one of the most exclusive accessories on the market. We want to dedicate this entire post to this wonderful complement. That’s why we’ll talk about how to clean a panama hat, how to store it or how to shape it if it has been deformed for any reason. How to clean a panama hat? 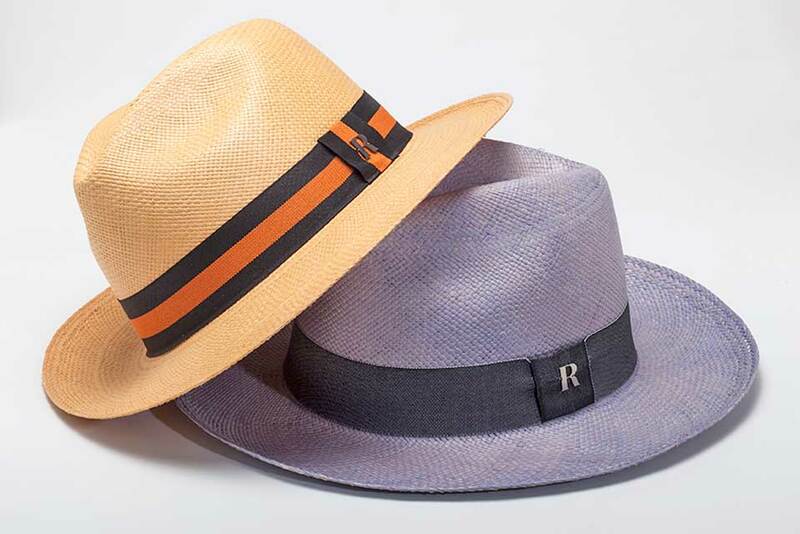 When you buy a panama hat, you know you are buying a unique and handmade product that needs special care so it will lasts as long as possible. Do not despair if your hat is very dirty or deformed. The Panama hat easily resumes its appearance if the problem we face is treated in the most appropriate way. Usually they tend to get dirty, deformed or even breaks in the cup and wing, although it is a more difficult problem to deal with. To clean a panama hat we will use a cloth (you can use a table napkin, it does not leave any threads), neutral soap and hot water. We will start by mixing the hot water with the neutral soap in a container. With the cloth we will rub the surface gently in a circle until the happy spot disappears. If we put some ammonia or water vapor before rubbing it will be easier to eliminate it, especially if the stain is juice, blood or fat. In these cases it is advisable to use a brush to apply the mixture. The pad or sweat also has to be checked since it is usually dirty with the contact of the skin. If it is made with a textile product, you should gently rub it with water and a few drops of neutral soap or ammonia. If it is leather, it is best to use a damp cloth. Tip: apply body cream to keep it soft. The next step is ironing it. You will need to find another clean rag, an iron and a spacious place where you can iron it. Put the iron at a very low temperature and moisten the hat to apply the heat. But, beware the iron never touches the hat or you will burn it. As you can imagine, ironing the wing is the simplest thing. To do this you will place the Panama hat on the chosen surface and you will go over the wing with the cloth little by little. On the contrary, the cup will be the most difficult to recover due to its shape. With this objective you will fill the hat with paper or cloth and gently with your hands and the iron you will try to return the hat to its original shape. When you have finished with the process of cleaning the panama hat you should let it dry in a clean place and in the shade. If you have followed the steps that we have given you correctly, the hat will be clean and it will return to its original shape. Who can clean my hat? Although we are telling you how to clean a panama hat, we would also like to make you understand that hat makers are the best trained for this kind of work. Some people want to save themselves the expense that this may entail and then they regret it because their hat never comes back to be the same. That is why it is better to trust a professional because he has the right tools and experience. If you just want to change the ribbon of the hat, surely you can do it by yourself since it is a much simpler process. Maybe we see that our favorite accessory needs a little brightness with a more colorful ribbon instead of the usual and classic black. How to store a panama hat? If we want our panama hat to have a very long life and be able to use it for many years, we must be quite careful and treat it with affection. This, in addition to the quality of the hat itself, will make it easier for us to accompany us almost for life. Once you have cleaned it, it is time to save it. The hat, being a very delicate product, needs to be stored in a very specific way. 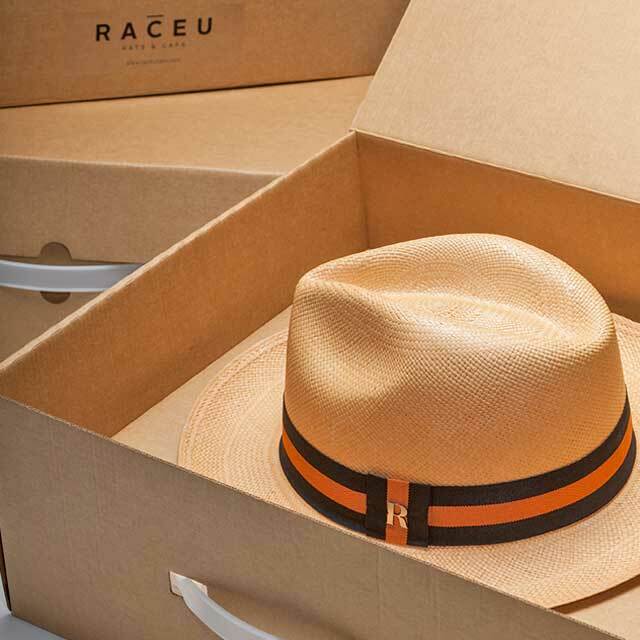 The best thing is storing our panama hat in places conditioned with the perfect temperature and humidity. If this is not done, the natural straw could easily be damaged. Before storing it, it would be appropriate to brush it and check how to find its fibers. These should be flexible and not crunch when pressed, which would be a sign that the hat is too dry and should be moistened with steam or water spray. If we do this, we will let it dry in a cool place before putting it in its box. The box should be cardboard and if it can be a much better hat. It is advisable to put silk paper inside the cup to prevent it from collapsing and eliminate excess moisture. If you comply with what we have told you, your panama hat will be impeccable the next time you go to use it. 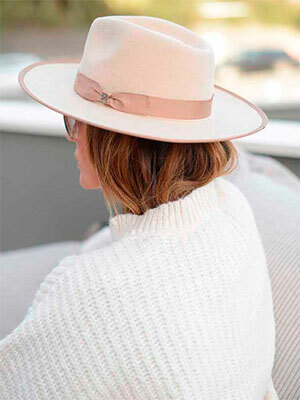 How to shape a Panama hat? If for some reason your hat has lost the original shape, it is very easy to make it recover. You just have to heat water in a pot or in the microwave if you wish. When the water is boiling, make the steam go to the hat, which will help you to soften it to give it back its original shape. If it has been the wings that have lost their shape, you should use the iron as we have explained before. Again we insist that you should never use it in direct contact with the hat or you will spoil it. If you live in a dry place, keep your hat in a damp place as well as a cellar. If, on the other hand, you live in a humid area, you must do the opposite: keep your hat in dry places to prevent it from becoming moldy. Never leave it in areas where heat accumulates or you will lose it forever. Always avoid getting wet since the fabric is very delicate and this can cause it to swell and deform. If this happens, you can take it to the hat but first try to let it dry naturally. It is vital to emphasize how important the purchase of quality hats is. At the time of purchase, we may value the price more than other factors, but aspects such as the quality of the straw or the auctions of the product will make a high-priced hat seem economical. Especially taking into account the time that will last us if it is good, we feel good and we are comfortable with it. That’s why we recommend you go to specialized stores to buy them. In hat shops you will find quality panama hats and they will also advise you perfectly about the quality, size or colors that improve you feel. Be careful as many stores sell hats that are not original.